**AWD, 2.0LTURBO, HEATED SEATS, BACK-UP CAMERA, CRUISE,PUSH BUTTON, BLUETOOTH, TOUCH SCREEN,** Thank you for your interest in one of Kendall Audi VW Porsche's online offerings. Please continue for more information regarding this 2018 Volkswagen Tiguan SE with 21,913mi. Drive home in your new pre-owned vehicle with the knowledge you're fully backed by the CARFAX Buyback Guarantee. The Volkswagen Tiguan SE offers a fair amount of utility thanks to its advanced features and unique styling. It's also quite sporty, and injects an ample amount of handling chutzpah into the ridin'-high body of a family-friendly SUV. Savor the satisfaction of safety in any condition with this AWD Volkswagen Tiguan. 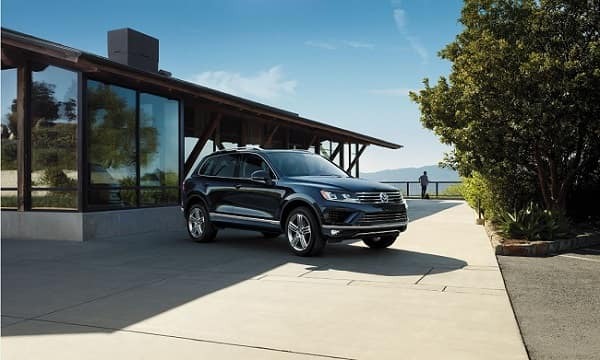 Superior acceleration, unmatched traction and stability as well as a luxurious interior round out the impressive features of this AWD Volkswagen Tiguan. This vehicle won't last long, take it home today. Kendall Audi VW Porsche is pleased to be currently offering this 2018 Volkswagen Atlas 3.6L V6 SE with 17,154mi. This SUV is a superb example of what a tough, work focused vehicle should be. Exceptional towing, acceleration and torque will help you get the job done. When driving an all wheel drive vehicle, such as this Volkswagen Atlas 3.6L V6 SE, superior acceleration, traction, and control come standard. This is about the time when you're saying it is too good to be true, and let us be the one's to tell you, it is absolutely true. There are many vehicles on the market but if you are looking for a vehicle that will perform as good as it looks then this Volkswagen Atlas 3.6L V6 SE is the one! This outstanding example of a 2017 Jeep Patriot Sport is offered by Kendall Audi VW Porsche. How to protect your purchase? CARFAX BuyBack Guarantee got you covered. This SUV is a superb example of what a tough, work focused vehicle should be. Exceptional towing, acceleration and torque will help you get the job done. No matter the terrain or weather, you'll drive at ease in this 4WD-equipped vehicle. With exceptional safety features and superb handling, this 4WD was engineered with excellence in mind. Exceptional in every sense of the word, this incredibly low mileage vehicle is one of a kind. Kendall Audi VW Porsche is pleased to be currently offering this 2018 Dodge Journey SXT with 38,438mi. With this exceptional SUV, you'll get sport, utility, and comfort. You can finally stop searching... You've found the one you've been looking for. You could keep looking, but why? You've found the perfect vehicle right here. Just what you've been looking for. With quality in mind, this vehicle is the perfect addition to take home. Kendall Audi VW Porsche has a wide selection of exceptional pre-owned vehicles to choose from, including this 2018 Nissan Rogue Sport. This Nissan Rogue Sport S has a tough exterior complemented by a well-designed interior that offers all the comforts you crave. This Nissan Rogue Sport S comes equipped with all wheel drive, which means no limitations as to how or where you can drive. Different terrains and varying weather conditions will have little effect as to how this vehicle performs. This is the one. Just what you've been looking for. There is no reason why you shouldn't buy this Nissan Rogue Sport S. It is incomparable for the price and quality. Contact Kendall Audi VW Porsche today for information on dozens of vehicles like this 2008 Chevrolet Tahoe LT. When you purchase a vehicle with the CARFAX Buyback Guarantee, you're getting what you paid for. Gone are the days of SUVs being the size of a tank and handling like one. This Chevrolet Tahoe is a perfect example of how SUVs have evolved into vehicles that are as refined as they are rugged. Put performance, safety, beauty, sophistication and all the right amenities into a car, and here it is! Now you can own luxury without the luxury price tag! This 4WD-equipped vehicle will handle majestically on any terrain and in any weather condition your may find yourself in. The benefits of driving an Four Wheel Drive vehicle, such as this ChevroletTahoe LT, include superior acceleration, improved steering, and increased traction and stability. It's not often you find just the vehicle you are looking for AND with low mileage. This is your chance to take home a gently used and barely driven Chevrolet Tahoe. Kendall Audi VW Porsche is pleased to be currently offering this 2018 Hyundai Santa Fe Sport 2.4L with 22,133mi. In their original incarnation, SUVs were chiefly owned by folks who valued utility above sport. Not anymore! The Hyundai Santa Fe Sport 2.4L redefines the SUV and makes the perfect all around family companion. Navigate through all the icky weather with ease in this AWD-equipped Hyundai Santa Fe Sport, and even get non-stop traction for your non-stop lifestyle! In addition to the amazing traction control, you may even qualify for an insurance reduction with this AWD vehicle. There are many vehicles on the market but if you are looking for a vehicle that will perform as good as it looks then this Hyundai Santa Fe Sport 2.4L is the one! The Hyundai Santa Fe Sport 2.4L will provide you with everything you have always wanted in a car -- Quality, Reliability, and Character. Kendall Audi VW Porsche is pleased to be currently offering this 2018 Hyundai Tucson SEL with 20,382mi. The Hyundai Tucson SEL offers a fair amount of utility thanks to its advanced features and unique styling. It's also quite sporty, and injects an ample amount of handling chutzpah into the ridin'-high body of a family-friendly SUV. This Hyundai Tucson is equipped with AWD for improved handling. Whether you're faced with inclement weather or just out enjoying the twisting back road, you'll have the grip of AWD on your side. This is about the time when you're saying it is too good to be true, and let us be the one's to tell you, it is absolutely true. The Hyundai Tucson SEL will provide you with everything you have always wanted in a car -- Quality, Reliability, and Character. **2018 KIA SPORTAGE LX. 2.4L 4 CYLINDER ENGINE. ALL WHEEL DRIVE. AUTOMATIC TRANSMISSION. POWER OPTIONS. BLU TOOTH EQUIPMENT. TOUCHSCREEN DISPLAY. TRACTION CONTROL. CRUISE CONTROL. AUXILIARY/USB/12 VOLT INPUTS. CLEAN CAR INSIDE AND OUT. Check out this gently-used 2018 Kia Sportage we recently got in. This Kia Sportage LX defines excellence in an SUV. It has the convenience of limitless boundaries paired with city sophistication. Navigate through all the icky weather with ease in this AWD-equipped Kia Sportage, and even get non-stop traction for your non-stop lifestyle! In addition to the amazing traction control, you may even qualify for an insurance reduction with this AWD vehicle. There is no reason why you shouldn't buy this Kia Sportage LX. It is incomparable for the price and quality. The look is unmistakably Kia, the smooth contours and cutting-edge technology of this Kia Sportage LX will definitely turn heads. Contact Kendall Audi VW Porsche today for information on dozens of vehicles like this 2018 Hyundai Santa Fe Sport 2.4L. In their original incarnation, SUVs were chiefly owned by folks who valued utility above sport. Not anymore! The Hyundai Santa Fe Sport 2.4L redefines the SUV and makes the perfect all around family companion. Enjoy the comfort and safety of this AWD Hyundai Santa Fe Sport 2.4L equipped with many standard features found on other vehicles as optional equipment. The look is unmistakably Hyundai, the smooth contours and cutting-edge technology of this Hyundai Santa Fe Sport 2.4L will definitely turn heads. The quintessential Hyundai -- This Hyundai Santa Fe Sport 2.4L speaks volumes about its owner, about uncompromising individuality, a passion for driving and standards far above the ordinary. We appreciate your interest in our inventory, and apologize we do not have model details displaying on the website at this time. Please fill the form out below and our team will quickly respond, or, please call us at (855) 606-1609 for more information. At Kendall Volkswagen of Anchorage, we know not everyone has it in the budget for a new Volkswagen SUV. So, we carry a substantial inventory of quality used SUVs in Anchorage. You can shop our selection of used Volkswagen SUVs, in addition to dependable SUVs from a variety of automakers. With a wide variety of options, we’re sure you’ll find something at our Anchorage used SUV dealership that fits your lifestyle and budget. We also serve the Eagle River, Palmer, and JBER areas. Not sure what kind of used SUV is best for you? Come by our used SUV dealership today and let our experts help you shop our inventory of used SUVs for sale in Anchorage. We have something for every lifestyle, budget, and family size. Are you looking for something set up to handle tough off-road terrain or just want to easily navigate the brutal Alaskan winters? Shop our inventory of used SUVs equipped with 4WD or AWD that will easily take you anywhere you want to go. If you’re in the hunt for a small SUV, we’re sure you’ll love the feel of our sporty crossover SUVs. If you need more cargo space for your weekend getaways, a full-size SUV could be just the thing you’re looking for. Be sure to browse our used SUV dealer for 7-passenger SUVs that come equipped with extra seating in a third row, as well. While you’re here, visit our Volkswagen Finance Center and let our financial experts help you apply for an Anchorage auto loan. You can also apply for a free car appraisal to find out the trade-in value of your current vehicle by filling out our trade-in form. 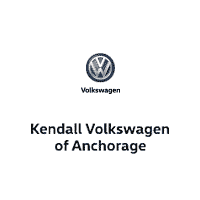 No matter if you’re in the market for a compact SUV, midsize SUV, or full-size SUV, Kendall Volkswagen of Anchorage is the used SUV dealer that has what you’ve been searching for. Contact us online or come by today and shop our vast selection of used SUVs in Anchorage.